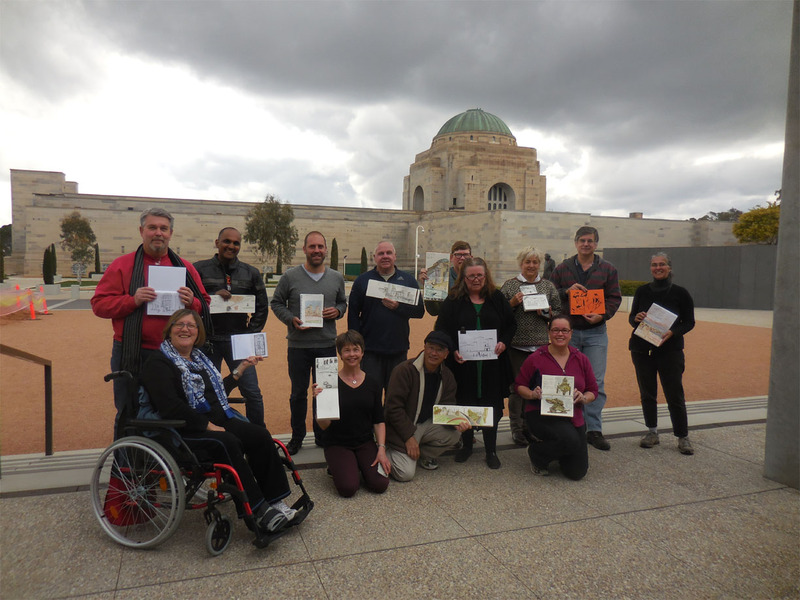 It might have been overcast today but we had a good turn out to the monthly get together of the Canberra Sketchers Group at the Australian War Memorial (AWM) – including 5 people who came along for the first time. Having briefly met for a quick chat and orientation everyone dispersed to draw. Group photo time, the AWM behind us. The Memorial building itself is interesting and there are so many different perspectives that is can be hard to choose just one spot to draw from. On previous visits I had discovered, not that it is hard to spot, the bridge of the HMAS Brisbane – the whole top section of the battleship – which was removed and re-sited in the grounds of the memorial. Today’s cooler temperature meant that I could spend all the time I wanted to get the sketch done. 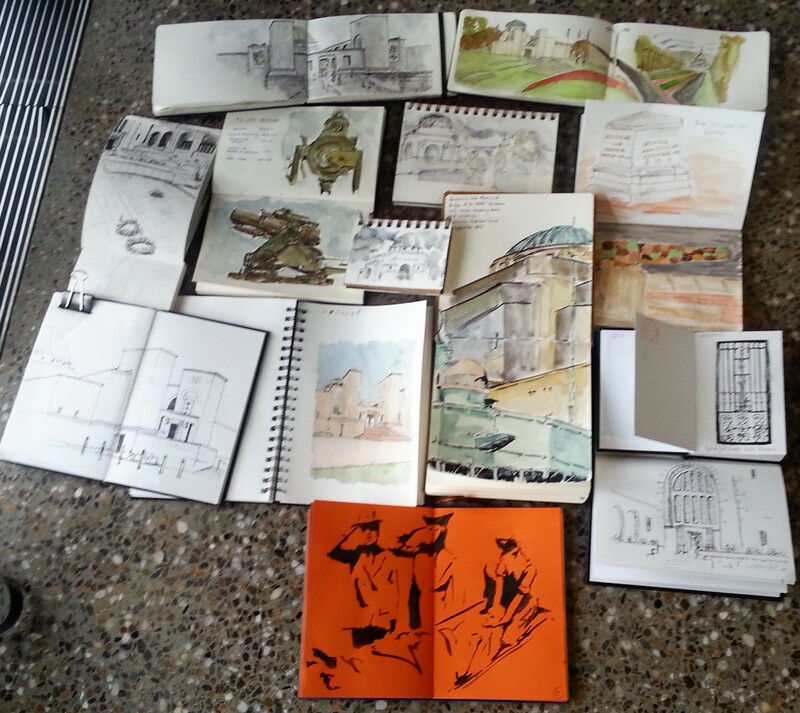 Afterwards we got together in Poppies cafe for coffee, chat and comparison of our sketches. 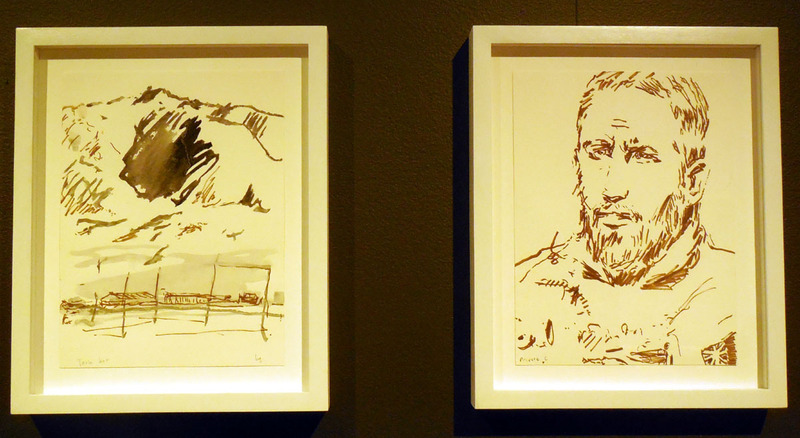 As always it was fascinating to see the various styles and subjects of everyone’s drawings. The next Canberra Sketchers Group sketchwalk will be on 4 October, 10.30 am, we will be meeting to sketch at Floriade, Canberra’s annual floral festival. If you will be in Canberra you would be welcome to come along. For more details please contact me through the link at the top of this page. For Part 1 of my visit to the Australian War Memorial click here. The second archive box I looked at held the ‘improvised pullover’ made by Bombadier L G Burnett. Burnett became a prisoner of war of the Japanese after fighting in Malaysia and Singapore. He volunteered, along with some 1,000 Allied POWs, to work on airfield construction in Burma and also subsequently worked on the Burma-Thailand railway project. This group was known as A Force. This jumper was made while Burnett was working on the railway and was kept by him through subsequent moves through Thailand until the end of the war. What surprised both the curator and myself is how small the jumper is. Given this was made some time into his captivity I must assume that by this time Bombadier Burnett was probably quite malnourished. The text accompanying the online entry notes that this garment was worn by Bombadier Burnett during bouts of malaria and also when he suffered from dysentery so he could sleep outside close to the latrines. As you can see from the image above the pullover is composed of different pieces of fabric. 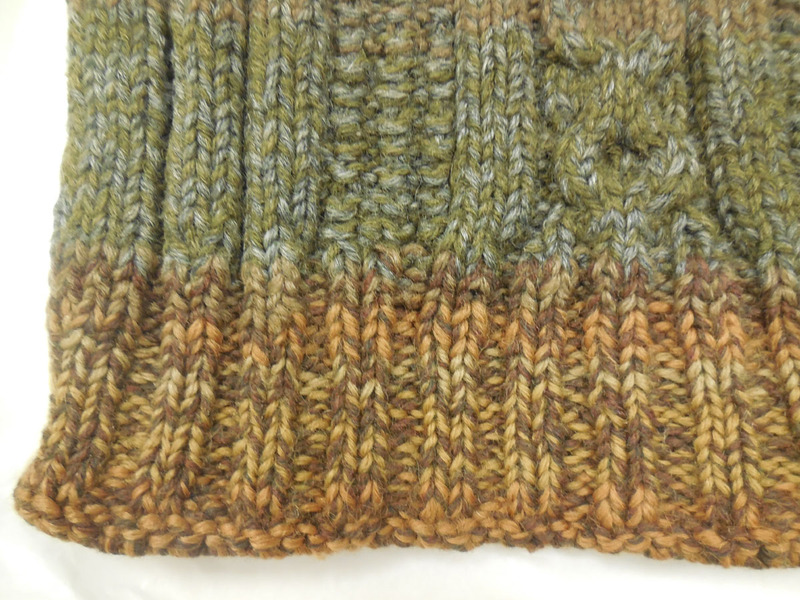 The central brown section is a scarf that was part of an Australian comfort package. The sleeves which are actually the legs of a pair of British long-johns he got in Singapore. Prior to them becoming part of the jumper, Bombadier Burnett used them, stuffed, as a pillow. The lower green section are Bombadier Burnett’s puttees. The puttees are made of a machine-knitted woollen fabric. Unlike the previous knitted pullover with its skillful styling, this garment shows improvisation in the face of very scarce resources. The collar of the garment is made from part of a Japanese blanket and like the rest of the garment is attached with basic stitching. 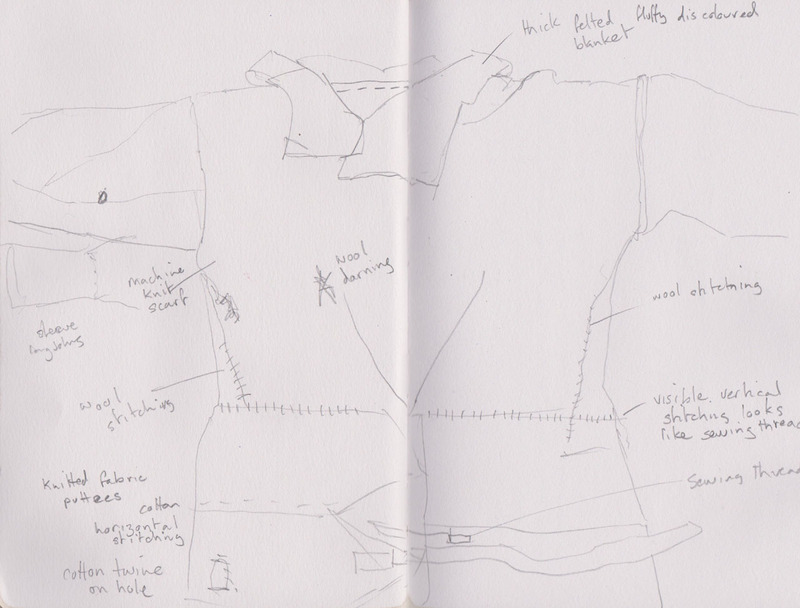 While I couldn’t touch the pullover I was able to make notes and draw a schematic diagram of it. The detail of the stitching shows utilitarian work with no particular signs of sewing experience. Basic stitches, running stitch and vertical stitching (possibly overhand) hold the sections together. 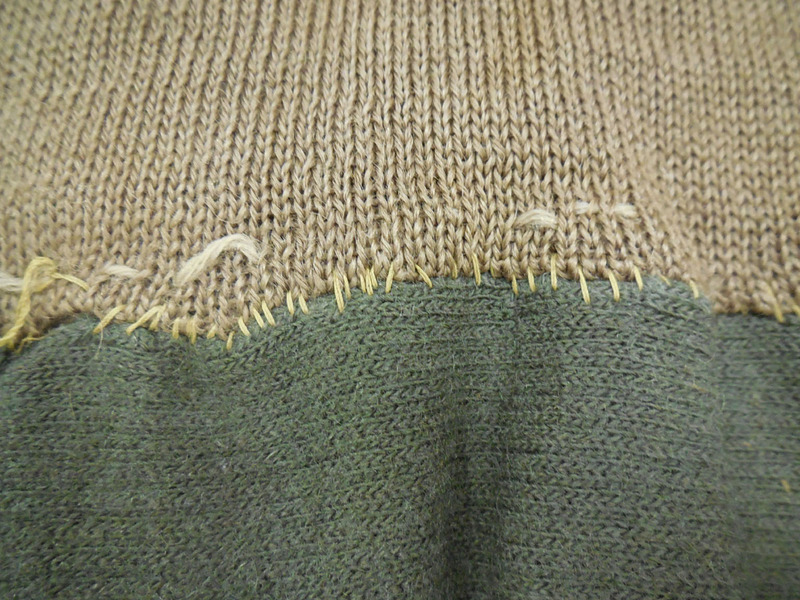 Parts of the pullover are darned with scraps of wool. Various types of thread, sewing cotton, wool and some cotton twine are used across the garment. The central section has two diagonal rows of stitching which, I assume, form darts to better shape the pullover for fit. Where the puttees (green) join the central section (fawn) of the Burnett garment. 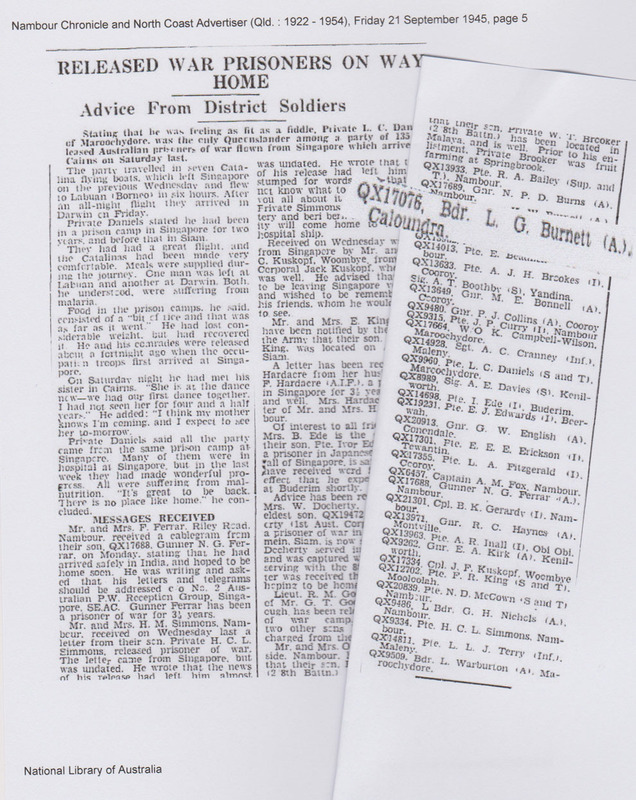 I found Bombadier Burnett’s name in a list of released prisoners in the Nambour Chronicle and North Coast Advertiser of 21 September 1945. Bombadier Burnett was discharged from the army in January 1946. An interesting sideline to this story is that one of the commanding officers of A Force, Brigadier Arthur Varley MC and Bar, CO 22 Bde, instructed Jim Collins, one of the A Force POWs to make “portraits of fellow POWs, some of whom would not survive the war.” Collins made some 100 drawings. 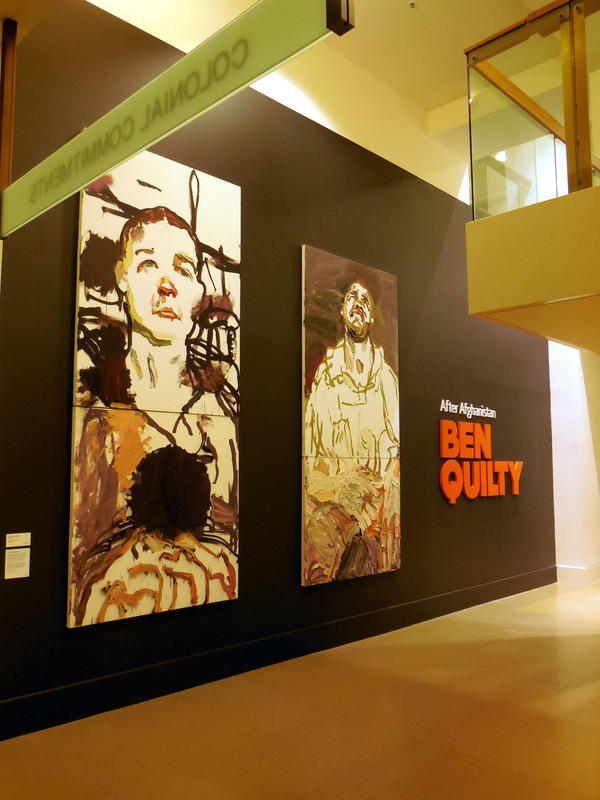 While there isn’t a drawing of Bombadier Burnett (that I could find), you can see some portraits of some of the A Force Allied POWs made by Jim Collins, which are also held in the AWM collection. A friend recently told me about a jumper (pullover) she thought I might be interested in. It belonged to an Australian soldier who made it when he was a prisoner of war in Germany during the First World War. The jumper was made, very skillfully, of many strands of wool gathered from comfort packages. As I often work with re-cycled fabric and find signs of the history on a garment of great interest I decided to see what more I could find out about these items. Which led me to where I was a few days ago – standing with one of the curators from the Military Heraldry and Technology section of the Australian War Memorial (AWM) with two archive boxes in front of me. It turns out that the AWM has a number of similar items in its collection. I located them through the Memorial’s online collection search facility. I had requested access to two items (the one my friend mentioned is currently on display in the First World War galleries), a hand-knitted jumper made by another WWI prisoner of war; and a Second World War pullover, which had been improvised by an Australian soldier held prisoner of the Japanese in Singapore, Burma and Thailand. 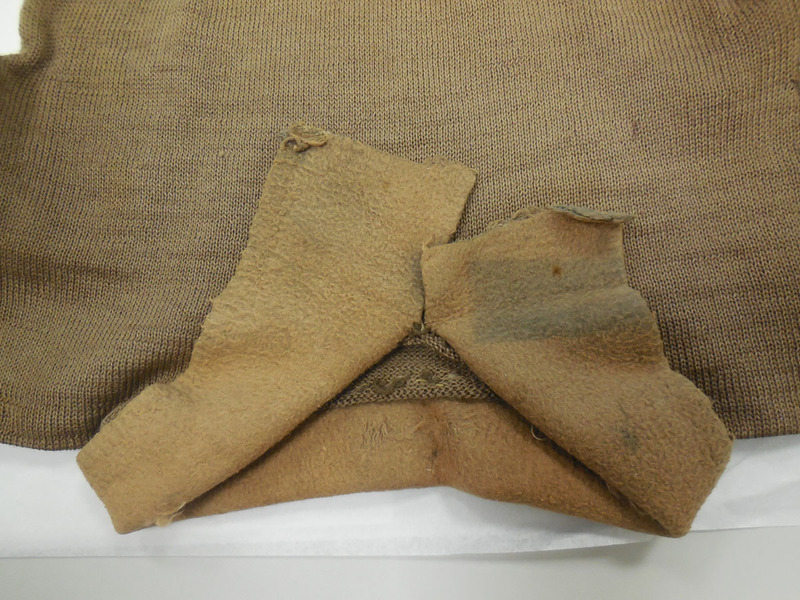 To do each item justice I will look at them in turn, starting with the First World War knitted pullover made by Lance Corporal Percy Augustus Burge, 14 Battalion AIF (Australian Imperial Forces). Lance Corporal Burge, who was 18 when he enlisted, was captured at Bullecourt after being wounded in the legs by a grenade and also sustaining a shrapnel wound to the kidneys. After a period in hospital being treated for his wounds he spent time in two POW camps. 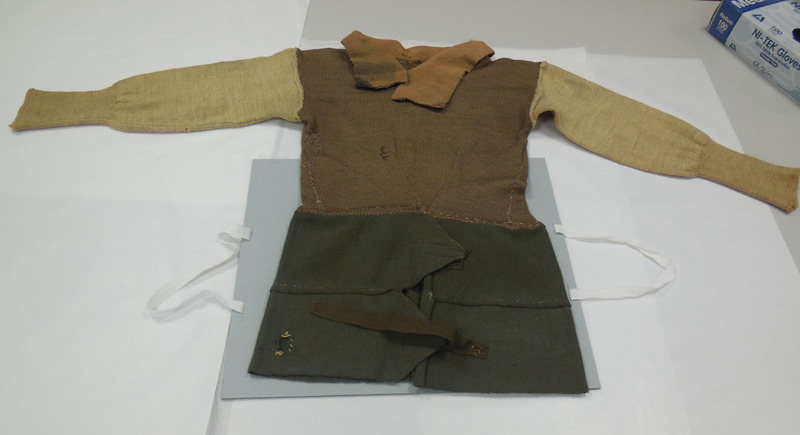 This garment was made from the wool from worn out socks and was knitted on needles made from wire. As the curator pulled it out of its box it became clear that this is one of the most beautiful jumpers I have ever seen. The colours are amazing and even these photographs don’t do justice to how bright the colours appeared. The whole piece is worked in two strands of wool. It was like Lance Corporal Burge had knitted all the colours of a lichen-covered boulder into this one garment. The colours used include varying shades of grey, soft ochres, browns and rusty oranges, khakis and other greens. I counted 15 colour changes on the body of the jumper alone. 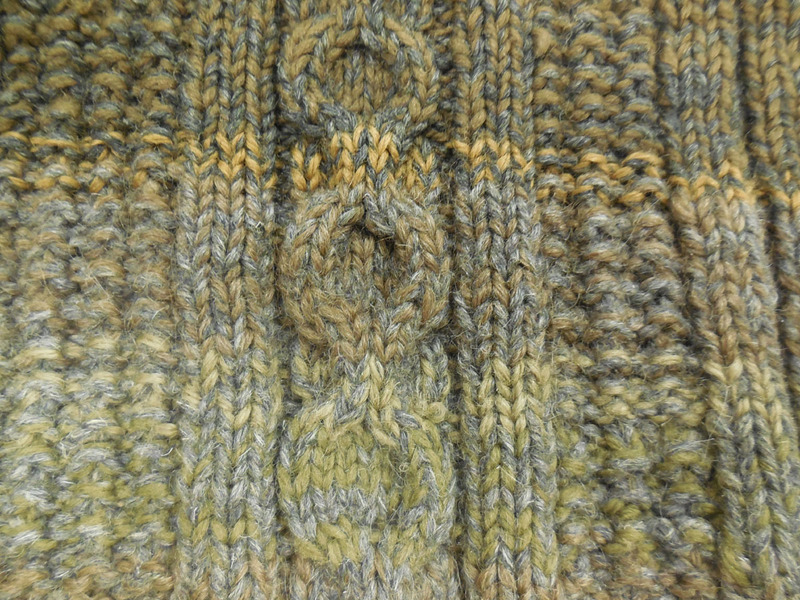 Cable and Broken Rib stitch from the front of the jumper. 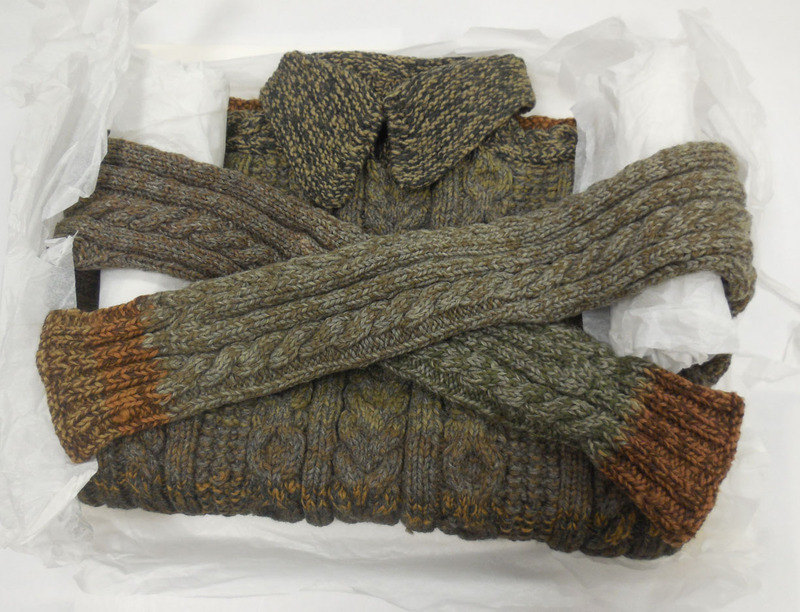 The jumper appears to be a classic gansey style with the body knitted in the round and gussets under the arms. There are several cable patterns on the body and the sleeves and another stitch which has been identified as blackberry stitch, but that a friend has been suggested is in fact a broken rib stitch. Looking at the two types of stitch online I’m inclined to agree that it is the reverse side of broken rib stitch, (an image of which can be seen here). This is a beautifully knitted garment. Although there is no information that says whether Lance Corporal Burge could knit before he became a prisoner I suspect that he could. ****It turns out that I am wrong. Staff at the AWM have since checked the detailed information associated with this item and it said that Lance Corporal Burge didn’t knit prior to his internment. **** Whether he was an artist is any other part of his life I do not know but he certainly had the eyes of a natural colourist. I took some photos of the jumper along to my hand-spinning group and we had a lively discussion about whether the wool was commercially produced and whether they would have been using synthetic or plant dyes for colouring. I can at least answer the first question as there were certainly woollen mills operating in Australia since the 19th century. Waverly Woollen Mills near Launceston, was founded in 1874 and in Sydney, the Vicars Woollen Mill moved to their Marrickville premises in 1893. Vicars also had the contract for supplying the National Military Training Scheme contract in the First World War. Looking at the grey wool that features throughout the jumper we wondered whether it was spun directly from a grey fleece rather than being a dyed yarn. We also wondered, given this garment was made from worn out socks and suchlike, whether there is a possibility that some of those yarns could have been made from handspun yarn. I don’t know. Percy Augustus Burge lived until 1970. The Australian War Memorial is the most visited tourist destination in Canberra but it has been some time since I last went there. 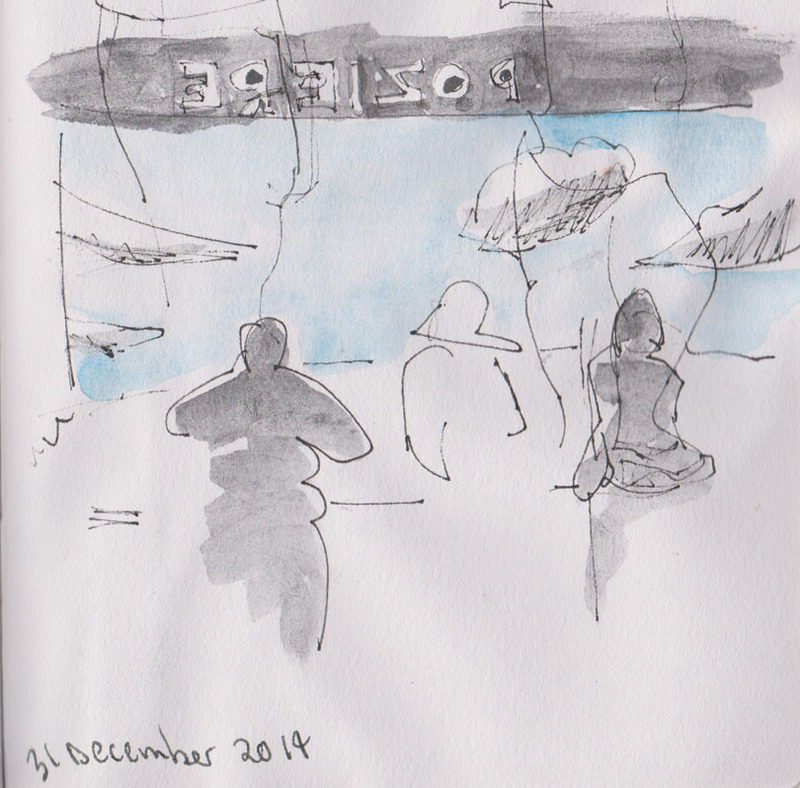 While we were actually taking a visitor to see the Memorial I realised that it would also be a great place to do some sketching. Following the advice to practice drawing people where they are likely to be doing similar things so you can build up a composite picture, I found a bench in the WWI gallery and started drawing. 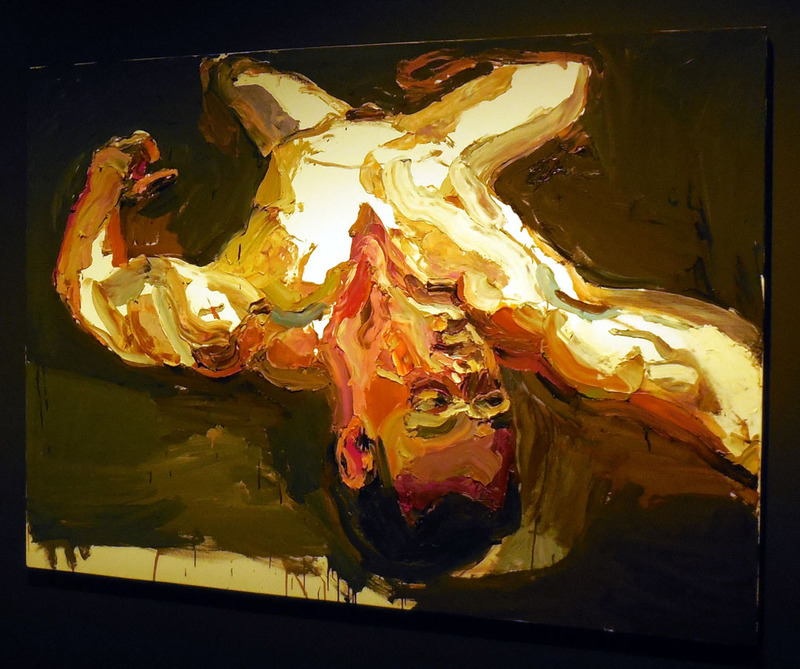 I actually had my back to the Poziere diorama when I realised that the shiny partition in front of me reflected the people looking at the diorama, so I could draw them without having to look directly at anyone. Things were going swimmingly until a guide brought his tour group between me and the partition. Then someone noticed my drawing and started apologising for being in my way, then the next person also apologised – I knew it was time to move on. 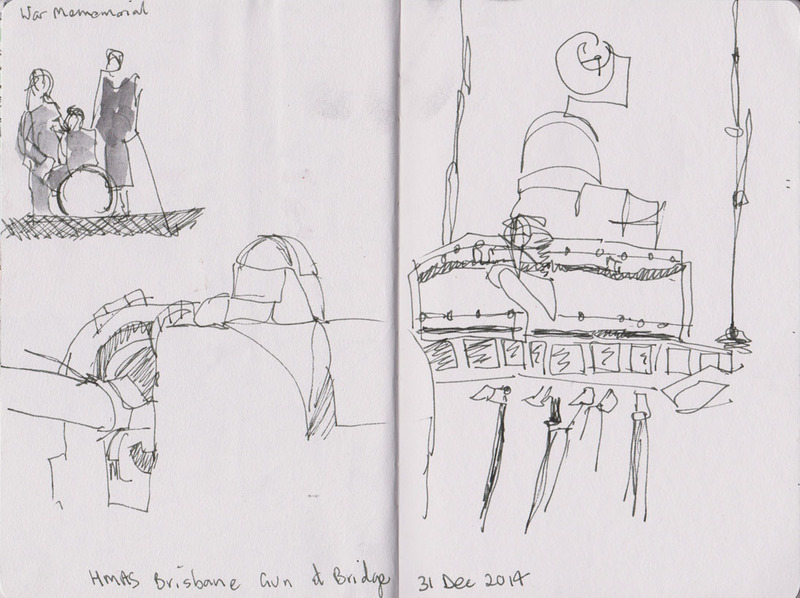 After a break we moved down into ANZAC Hall where I found plenty of space to sit and draw next to the remains of the Japanese Midget submarines that attacked ships in Sydney Harbour in 1942. 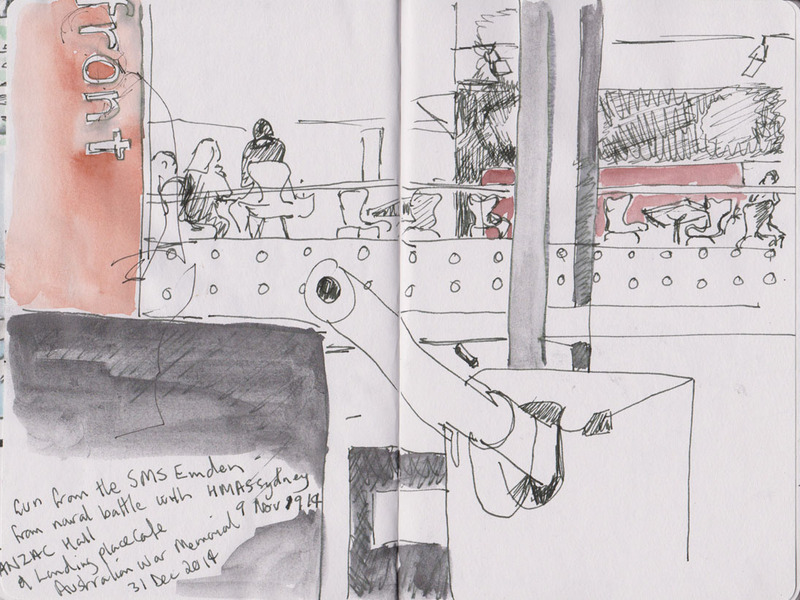 The low angle allowed me to draw the somewhat dramatic view past a gun from the SMS Emden, (the target of an attack by HMAS Sydney in November 1914), up to the next level and the Landing Place Cafe. 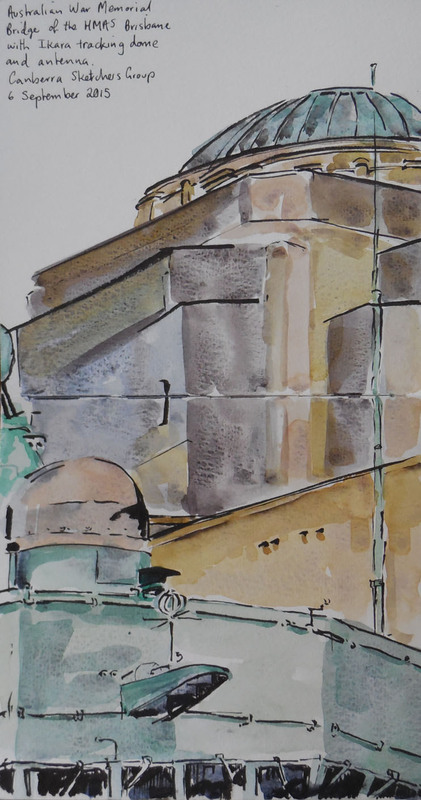 Gun from the SMS Emden and the Landing Place cafe, Australian War Memorial, 31 December 2014, pen and ink, graphite and watercolour. We glanced out one of the windows and noticed a ship’s bridge and gun sitting in the courtyard (as you do). So we had to check it out before we left. It turned out to be what remains of the HMAS Brisbane, which was in service from 1966 up until the 1990’s. Not surprisingly this is the largest naval relic in the Memorial’s collection. Our visit today reminded me of what a wealth of interesting subjects could be found at the War Memorial. I’m planning on re-visiting it during the coming year.